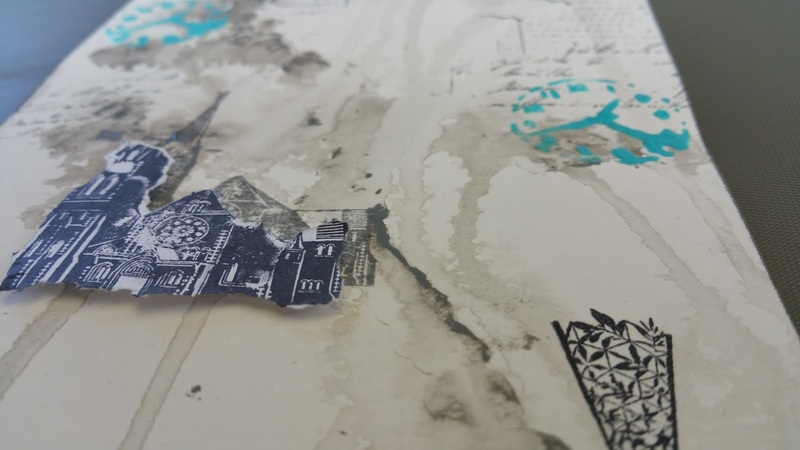 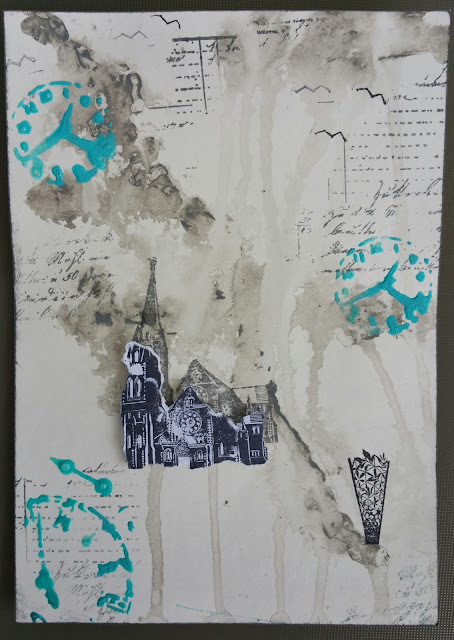 I have finally got around to creating something for Our Mixed Media Moods hosted by DeeDee Catron and Mixed Media Jenn. I love watching both their videos and am always inspired by what they create. 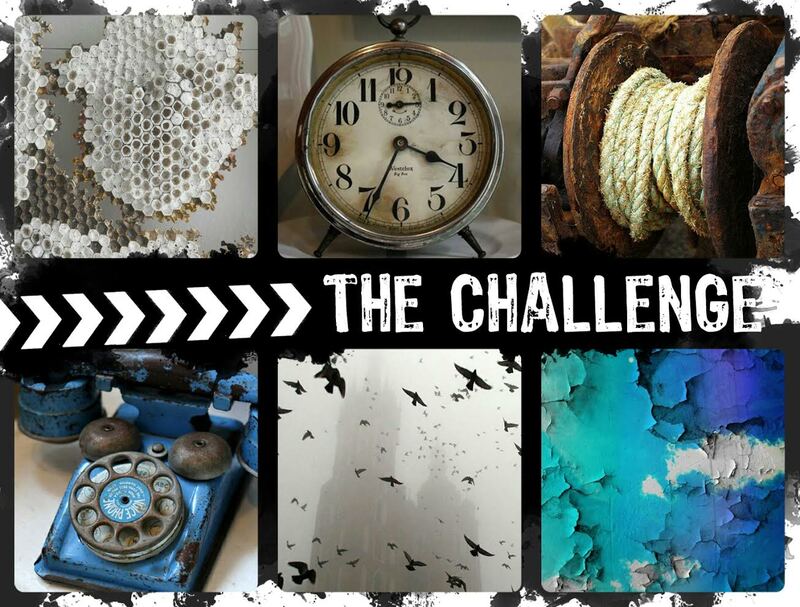 I was mainly inspired by the bottom middle photo from the mood board, with some added colour and texture. 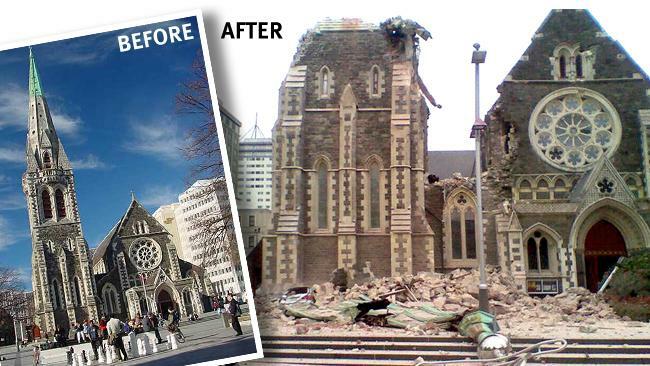 This picture made me think of the Christchurch Cathedral, which was badly damaged in the earthquakes, here in New Zealand, in 2011. I mostly used greys in the background as I wanted this to be more muted. 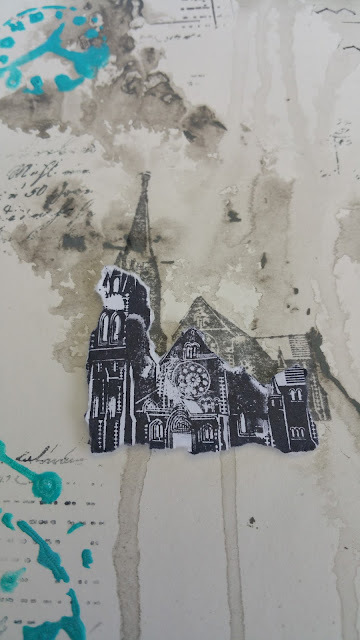 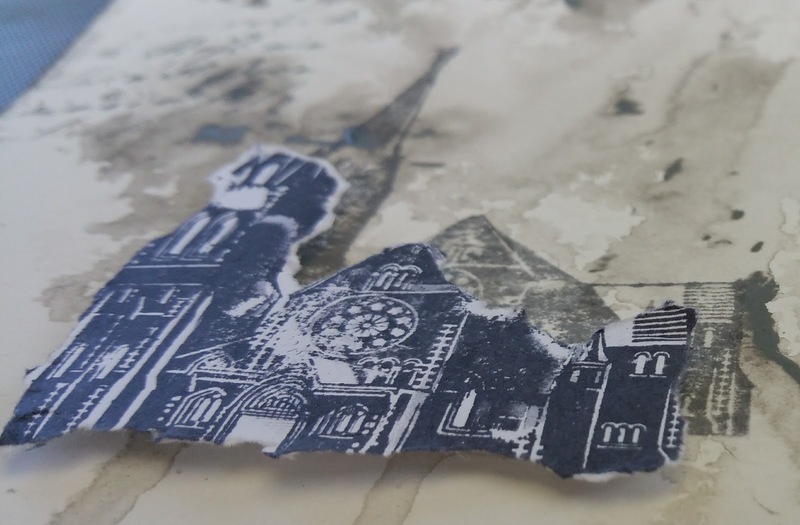 I used a stamp of the cathedral, as it was, to give the effect of a shadow, then stamped it a gain in black on card, ripping off the broken parts and layering it with raised tape over the shadow. The background stamping is an invoice type stamp (I think Heidi Swapp) which funnily enough I think I used as it was one of the prompts from VLV Stamps :) - I was doing them both at the same time - but it works here. 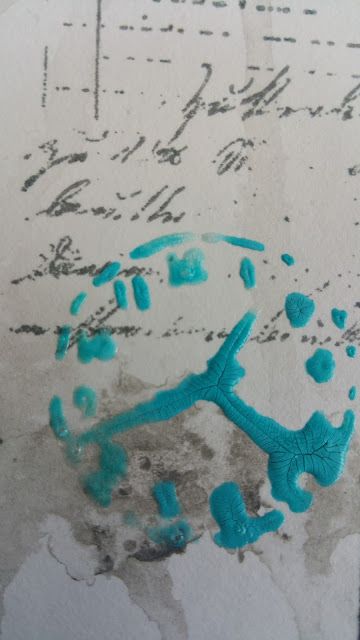 I wanted to add a little colour and texture so used the Tim Holtz Distress Crackle Paint, coloured, through a stencil. The final stamp is a sculpture which is also found in Cathedral Square.